Home › Uncategorized › Read the fine print. 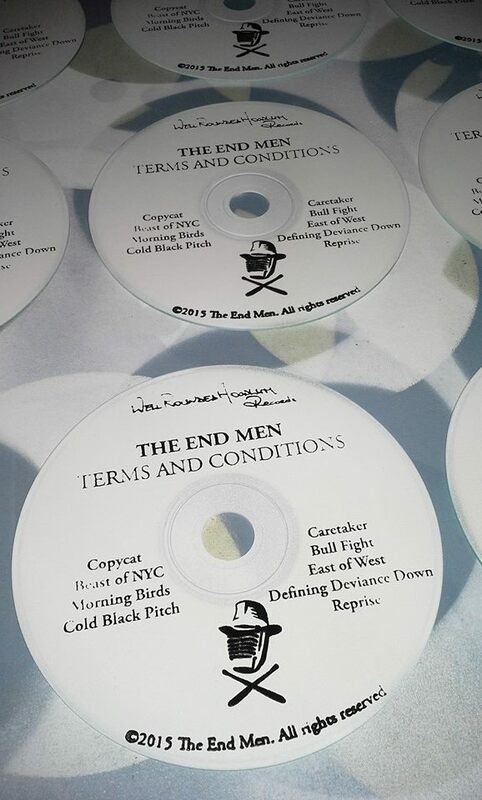 We’re pleased to announce that The End Men‘s latest and greatest, Terms and Conditions, is now available for your internet consumption. 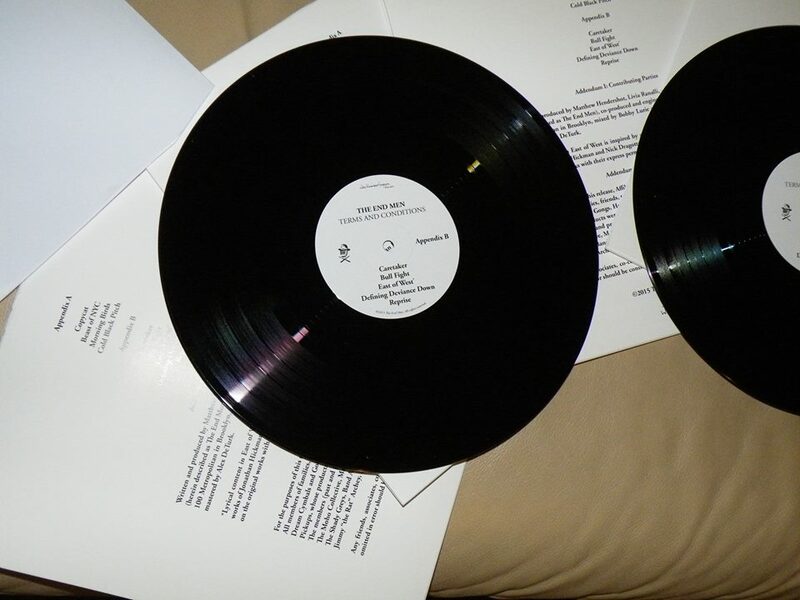 Limited-edition vinyl and hand-screened CDs are on the way. Augmenting the dynamic duo’s patented rock ‘n’ roll assault with the addition of saxophone maniac Matt Elia, Terms and Conditions is the loosest, heaviest, jazziest, gnarliest End Men record yet, taking the band’s bluesy pummeling in all manner of unexpected but wholly righteous directions. Dig in. If you’re on the right side of the Atlantic, the End Men just may be coming to town near you soon; if you’re here with us in the 518, keep your calendars clear on the 4th of July. ‹ Rock ‘n’ Roll Terms, Rock ‘n’ Roll Conditions.